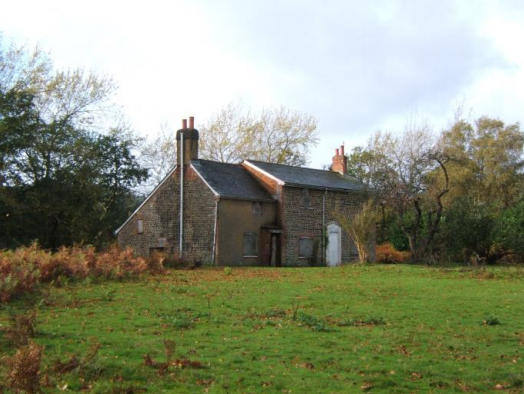 During the House of Commons examination in 1789 of Daniel Annett, one of the keepers of Woolmer Forest and who lived in Lynchborough Lodge said that he paid 5 pound a year to an Assistant, William Carpenter who lived in a small House called Woolmer Pond House. He also paid 13 or 14 pounds a year for the wages and board of a boy who lived with him; and he kept one horse, which cost him about 9 or 10 pounds a year. He added that there were no longer Red Deer in the forest. 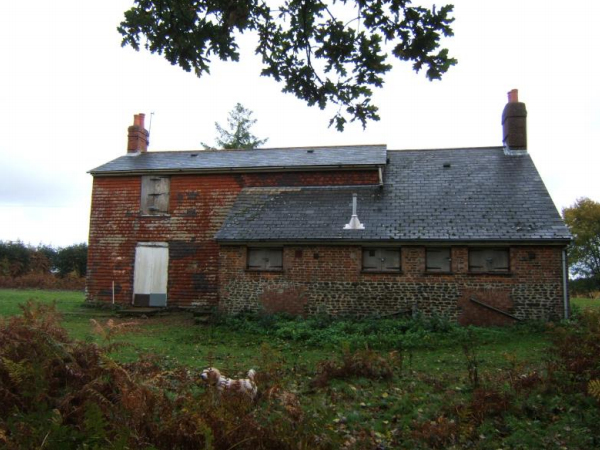 In September 1850 Nathaniel Prettejohn, Foreman of the Crown Forestry Service, in his Account Records noted that an estimate given for the finishing and repairs to Woolmer Pond Cottage (including a portico porch) was £ 25-11-3. The final bill was £ 25-11-11 ½ exceeding the estimate by 8 ½d. 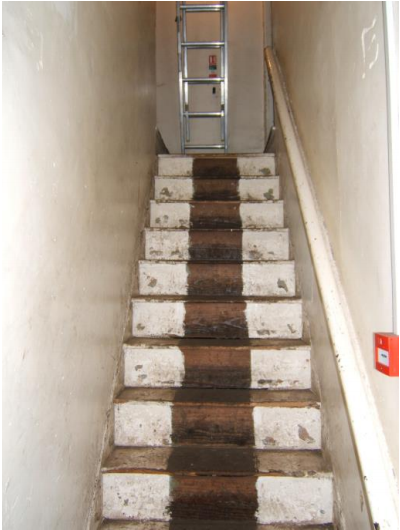 From our visit in November 2013 it was possible to investigate the whole of the cottage including the roof space The original part of the cottage is the south-east end, which shows galleting (ironstone pieces in the mortar) on the gable end. It originally had a catslide roof, which at a later date was raised to lessen the pitch. This can be seen inside the roof space where the old timbers have been overlain by new ones to achieve a reduction in the pitch. Also the bottom portion of the catslide element was further elevated by the addition of new masonry to reduce the pitch even more. 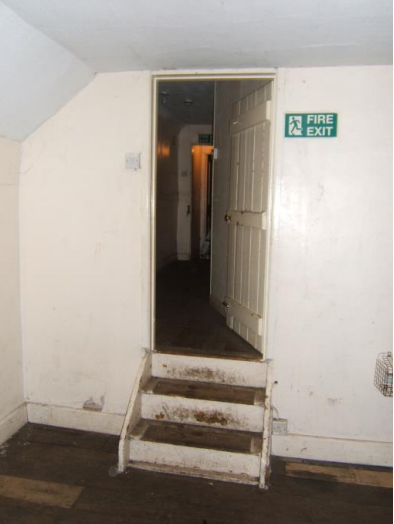 The Victorian rebuilding of 1850 added a narrow staircase and two further bedrooms with steps down into the bedroom of the older part of the house. 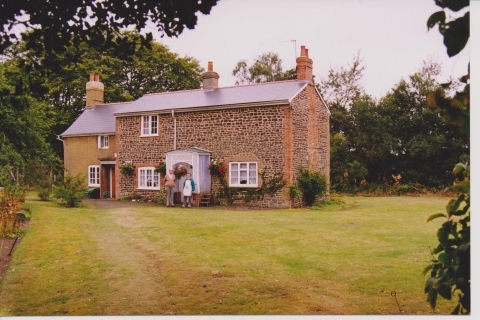 Woolmer Pond Cottage had been lived in for 25 years by Mr & Mrs Sheridan when the picture below was taken in 1994. A few years later the cottage was no longer inhabited.